Have you ever wondered why Raleigh Divorce Law Firms do not generally advertise fees on their literature or websites? 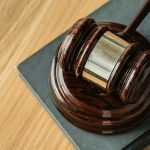 For most reputable firms, this failure is not an effort to hide information, but rather it is a recognition that quoting an exact fee for a general “case” is impossible to accomplish in a fair and professional way. With this in mind, we do wish to share our fee structure and process so that you will understand it when thinking about contacting our firm. We make every effort to be fair and up front with every Client about all fees associated with their particular case. Read below for some general range of representation costs. Naturally, more specific fee information is a phone call or email away. At The Doyle Law Group, P.A., we strive to provide the highest quality legal representation available for a reasonable fee. Make no mistake, our attorneys are top attorneys and our fees are expensive, however, with our reasonable fee structure and streamlined processes, most can still afford our divorce representation. What sets us apart is that we make elite representation possible without the outrageous retainer fee that most cannot afford. We offer a clearly defined fee structure, provide clear estimates of costs, provide monthly billing updates to help you track fees, and suggest ways to make sure your legal fees do not exceed estimates. Our goal is to make successful representation affordable rather than making something simple expensive as is so often the case in divorce. Why are Divorce Attorney Costs So High? The primary thing to understand about divorce lawyers and legal fees is that most divorce attorneys bill you according to the time required to effectively represent you in attempting to obtain the fair results that you need and want. It is also important to make good business decisions when dealing with divorce, and sometimes spending more time doing things like researching assets for example will make a Client significantly more money that you spend in legal fees. It is difficult if not impossible to predict with certainty how much time a legal problem involving family law will take to resolve because each case is so very different. Some cases (and Clients) require more time than others to successfully resolve. Some problems are complex while others are fairly simple. Some divorce related problems that seem complex at the outset can be resolved quickly and simply while others cannot be. And lets be honest, some people are down right unreasonable (often contributing to a divorce in the first place). The key here is to understand from the beginning how you are charged so you can have an honest idea what your case is likely to cost to get to a RESOLUTION, not just a fight. Then listen to your lawyer about the things you can do to make the cost as reasonable as possible while still ensuring top quality representation. Our firm makes every effort at the outset of every case to educate each client on what they can expect to pay from start to finish and we keep Client’s up to date as the case progresses. Cases that do not begin with Court require what we call Negotiation Representation. We represent you to get the matter resolved by Agreement, legally and fairly on all outstanding issues including (as applicable) custody, support, alimony, property division, and any other related issues. 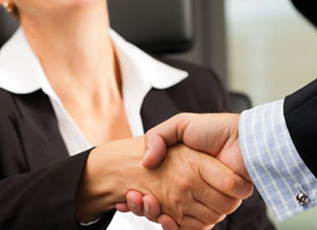 You will be charged an initial retainer fee which shall be placed in our firm trust account. This fee is fully refundable after all earned fees and expenses are paid. The amount of any initial representation fee depends on the issues involved and their complexity. For simple matters these fees can be as low as $2500.00, while complex matters involving substantial estates and/or high or uncertain incomes (requiring significant examination to calculate support issues and complex valuations) will be more, normally from $6000 to $10.000. For marital estates exceeding two million dollars, the initial fees can be higher. In cases that do not settle quickly (the parties cannot come to an agreement), we recommend settlement conferences and mediation as a means to bridge any remaining disputes and resolve the matter as painlessly as possible. If you need additional time beyond what is covered by the initial fee, you will be required to make additional refundable payments into the firm trust account. This can occur if the settlement takes longer than expected as the parties cannot agree, issues prove more complex than anticipated, or our Client just needs more legal work or time. We work very hard, however, to ensure that there are no surprises when it comes to legal fees and that your resources are well used. We offer tailored payment plans for our clients in certain situations to make sure representation remains affordable. CONTACT US for details and to discuss your case and the legal fees involved. The second option is a “litigation representation” option, whereby you hire our firm to take a case to Court. This would apply whether you are the filing party or your spouse has already filed. Sometimes immediate court intervention is the only choice when dealing with an unreasonable spouse or there is an emergency involving your children or the loss of assets. The primary fee structure is the same as for negotiation representation, however litigation is more expensive in general terms, requiring initial fees of $6000.00 to $10,000.00 in most cases. Fully litigating multiple claims will ultimately costs more than the initial fee, however the vast majority of cases settle prior to final trials. Final litigation costs for cases the few cases that require final trials will typically incur costs between $10,000.00 to $50,000.00. 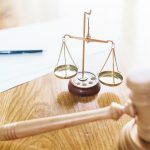 Estates involving assets valued at more than two million dollars or high conflict custody cases where the opposing party is spending heavily on their own attorney can exceed $50,000 as well over time. Again, our goal is to provide you the best representation available to obtain the best result possible all at a cost you can afford using resources you can afford to spend. If you need a flat fee, these can be discussed with your attorney closer to your trial. Don’t make a tragic mistake of hiring a lawyer having no real idea what the total representation is likely to cost you. CONTACT US to discuss. Representation for final divorce, domestic violence restraining orders may involve flat fee options as the representation is rather limited in time required and duration. Please contact us to discuss. Do You Need a Raleigh Divorce Attorney or Have Questions About Our Fees? Please call us at (919) 301-8843 or complete our online contact form to discuss our fees for all other legal areas of expertise. We will make every effort to provide you with the information you need to become better educated about our fees.